Classically trained pianist and composer Trevor Hoffmann began piano studies at the age of four, with Kathy Bartel, then continued piano and pedagogy studies in the studio of Dan Wardrope, where he completed his teacher’s ARCT, winning a Pedagogy Award from the BC registered Music Teacher’s Association for the highest marks in the province. During undergraduate piano studies at Douglas College he was chosen to perform in a masterclass with internationally renowned artist Lang Lang. Now 22, Hoffmann is currently in his fourth year of study towards his BMus in Composition at the University of British Columbia. He worked as principal accompanist to the “MyVoice” Chor Leoni boys choir, and also managed a thriving private studio, instructing students in piano and theory from a beginner level to grade ten. He currently teaches in the contemporary piano division at Tom Lee Music Downtown. Hoffmann works in many different genres of music, including gospel, jazz, and alternative­rock, and performs regularly around the Lower Mainland. 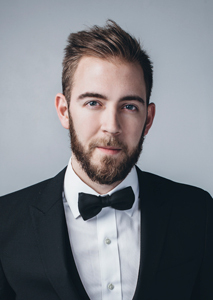 Recently he appeared as pianist for David Foster’s new vocal artist Cody Karey, as music director for the pop­opera group “Vivace,”and with Canada’s number one event band, Ten Souljers. He alsoproduces and performs with such Vancouver artists as Jerrica Santos, Jessica Zraly, and the Simpson Brothers. Trevor is also part of the video directing team for the Vancouver Symphony Orchestra. Hoffmann is a very active composer/producer. He collaborates with Vancouver directors and game designers on scores for short films, documentaries, and video games. He has written a wide variety of music for solo piano, voice and piano, percussion, and small ensembles, and a number of full orchestral works. His works have been performed by many solo musicians, the Vancouver Chamber Choir, Musica Intima, the Phoenix Chamber Choir, and the Vancouver Symphony Orchestra. 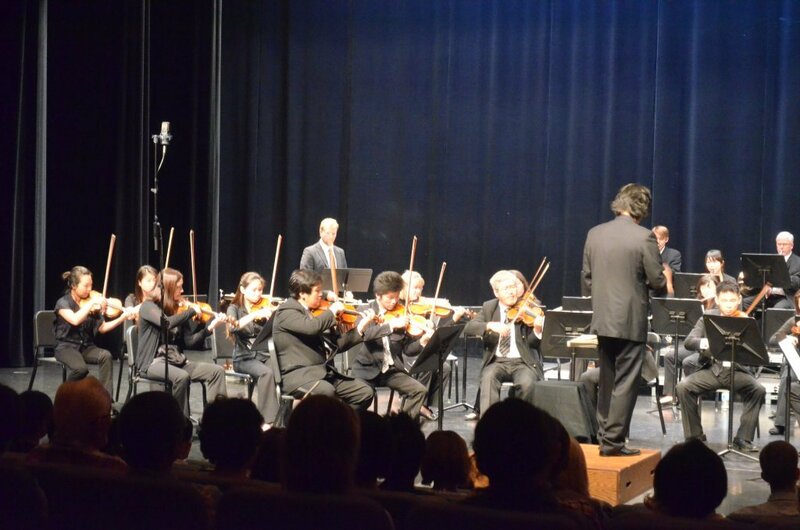 He was recently appointed Composer in Residence for the Vancouver Metropolitan Orchestra. Hoffmann is also an award­winning producer in the pop music field. He has co­written and produced an alternative­rock album with the band Kaleos, as well as writing and producing a song for the artists BOZ and Marika which has received much audio play. He also works as an arranger and orchestrator with noted composers Daniel Ingram and Jeff Toyne on many different TV series and films. He is now co­writing his first children’s TV series which will air on Teletoon. Trevor is a prolific song producer and is also a founding member of Smash Music Productions, an Emmy nominated team whose song albums for TV have reached number 1 worldwide on the iTunes and billboard charts. He also spends many months of the year on tour as a musical director for a number of acts including the Canadian crossover group Citizen West and David Foster’s artist Cody Karey.